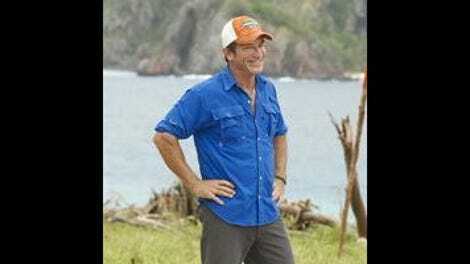 "The Stakes Have Been Raised"
Welcome to the 500th episode of Survivor! That is an insane number of episodes, especially for a show that is still so consistently entertaining. With 500 episodes also comes the side effect of the show consistently overreaching to create a season theme, and Game Changers is no different. Jeff says some of these people make “quiet moves” – so quiet we can’t remember them at all! This season has a “legacy advantage”: Immunity that can be used at 13 and six remaining players only. If you get voted out, you can will the advantage to someone else. The narrative of Ozzy vs. Cirie takes over the early narrative of the episode, with Ozzy camouflaging his grudge against Cirie for voting him out last time they played together as him being concerned she isn’t enough of a “physical” player to help them win competitions. Tony immediately starts building a spy bunker so he can hide underground and gets busted by Troyzan, of all people. Say what you will about Tony, he is never not entertaining. 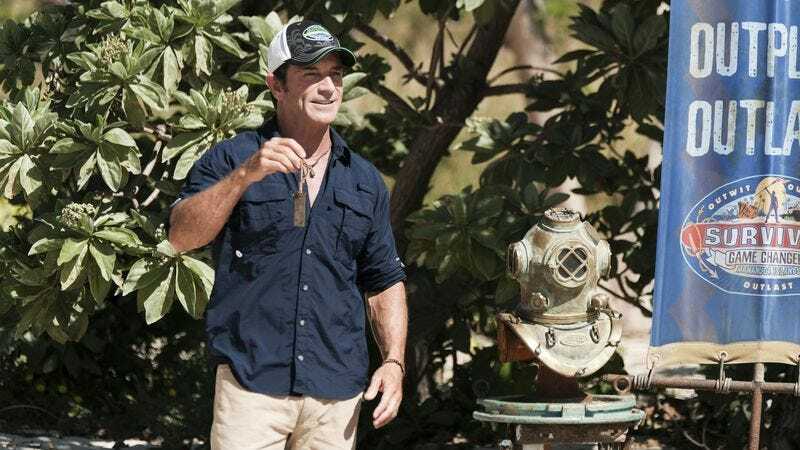 Jeff announces an actual game changer at the first Immunity Challenge: There are no re-votes in the event of a tie at Tribal Council. It immediately goes to the unanimous discussion and if no decision can be made, then they draw rocks. Mana loses the first Immunity Challenge, and talk inevitably goes to keeping the tribe strong. This puts the focus square on Ciera, who came out of the gate strategizing about taking out the big threats. The wrench in the plan comes when Michaela objects to being the pawn name Ciera is given, but Michaela lives to see another day when Ciera is eventually voted out. So weird that a woman was the first person voted out! So unlike Survivor! Tony and Aubry cook up a majority alliance of “threats” that includes Malcolm, Caleb, and Sandra. This is an alliance that intrigues me, so of course it implodes almost immediately when Tony starts distrusting Sandra and Sandra’s anti-Tony campaign begins. Winner vs. winner in the premiere episode is not too shabby. “He’s got to decide what he’s here to do: win a million dollars, or marry these chickens.” JT and Tai are getting along already. Cirie knows she’s in trouble so she starts trying to bring in allies. The problem is that every ally seems to be with her to her face, and then immediately says they can’t trust her in their confessional. It makes for a very entertainingly edited sequence, at least. It was obvious from the editing that Mana was going to lose the second Immunity Challenge, but wow, what a terrible performance from them at the outset, leaving the door wide open for them to talk about “strength” of the tribe being the most important factor. Sandra spent a lot of time calling herself the Queen in this episode, and the final vote pretty much proves it. The editing seemed to tip its hand against her, but somehow she convinced everyone she was the lesser threat, and that keeping the tribe “strong” for challenges wasn’t as important as getting Tony out. I’m anxiously awaiting the truth of how and why that went down at the beginning of the next episode.